Michel Heurtault is delighted to invite you to discover his latest creation: a Japan-inspired contemporary parasol, on show at the Japon-Japonismes exhibition at the Musée des Arts Décoratifs in Paris. 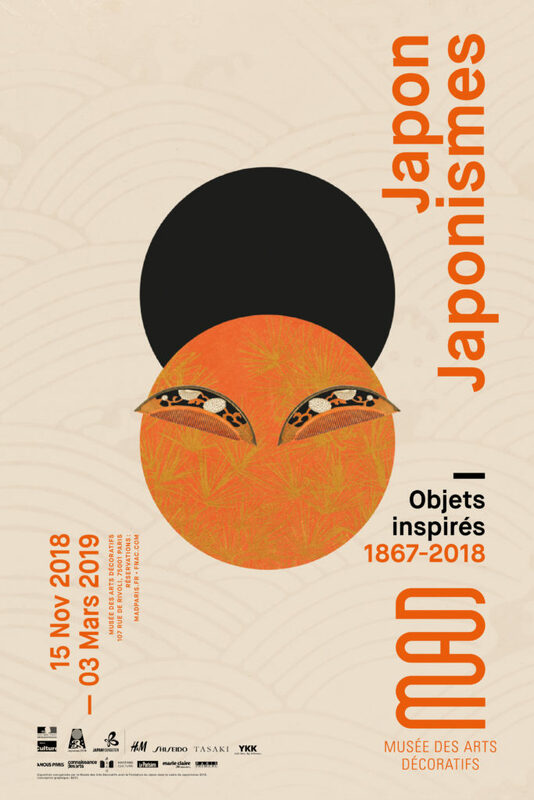 Presented in the context of the Japonismes 2018 season, which celebrates 160 years of cultural and artistic exchanges between France and Japan, this exceptional exhibition shines a light on the superb ancient Japanese art collection of the Musée des Arts Décoratifs, shown alongside western creations inspired by Japan. With six other master artisans who participated in the WONDER LAB exhibition organised by HEART & crafts at the Tokyo National Museum in 2017–Jean Girel, Sylvain Le Guen, Laurent Nogues, François-Xavier Richard, Pietro Seminelli and Nelly Saunier–, Michel Heurtault was invited to present a contemporary “Japonist” creation. An outstanding exhibition that shows the incredible creativity brought about by the cultural dialogue between France and Japan! Do not miss it if you’re in Paris!